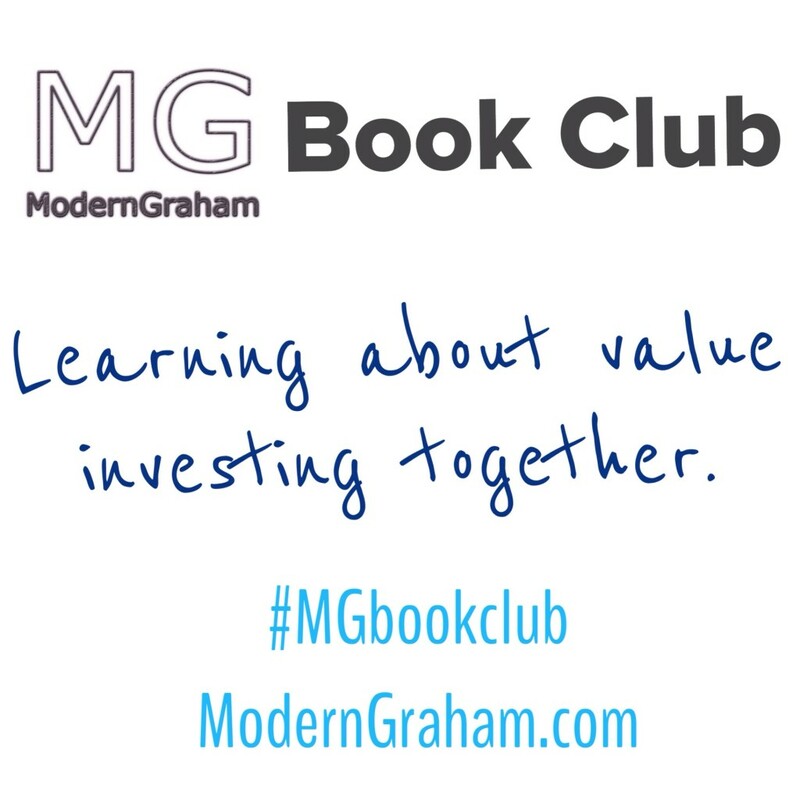 This is the seventh discussion of the ModernGraham Book Club’s reading of The Intelligent Investor by Benjamin Graham (affiliate link). In last week’s discussion, we discussed the sixth chapter, which makes some suggestions on bonds which Enterprising Investors should avoid, including high-grade preferred stocks, inferior types of bonds and preferred stocks, foreign-government bond issues, and new issues. This week we will discuss the seventh chapter, which is titled “Portfolio Policy for the Enterprising Investor: The Positive Side.” I encourage you to purchase the book (preferably by clicking the link to Amazon, because a purchase through that link will help support the club) and join in with us as we read through a chapter each week; however, even if you don’t have the book I think you will find our discussions to be very useful in your own understanding of value investing, and you can still bring a lot to the discussion from your own experiences as an investor. Whether this is the first day you’ve ever been interested in investing, or you have decades of experience with the stock market, we’d love to hear your thoughts in the comments below! Graham delves a little bit into each activity, giving particular attention to the growth stock approach and buying bargain issues of various types. It seems that Graham believed the other two activities, market timing and seeking arbitrage opportunities, do not present the same prospect of success going forward as they had in the past. I think he was right on point here, as time and time again it has been proven that it is not possible to consistently time the market to buy exactly at the lows and sell exactly at the highs. Similarly, with the advent of the computer age, the profit margin attainable from any true arbitrage situation is almost immediately eaten up by proprietary trading firms that have computer algorithms established for detecting arbitrages as soon as possible. As a result, the Enterprising Investor is left to pursue profit through Graham’s other suggested activities, that of finding the right growth stocks and buying bargain issues. Graham explains that the Enterprising Investor must be very careful with growth stocks, as it is usually the case that a company that exhibits strong growth will be overpriced by the market due to the market’s tendency to allow emotion to come into play and the assumption that growth will continue at extremely high rates. However, the Enterprising Investor’s approach to growth stocks must be limited to finding companies that have achieved a rate of growth in the past that is strong but which is not reflected by the market’s price. In other words, these companies have shown growth that significantly exceeds the rate at which the market is implying will continue. If the Enterprising Investor can find such companies and buy them at prices low enough to allow for the chance that the company does not achieve the same level of growth, then opportunities for profit exist. Graham further suggests that one very strong possibility may be found in very large companies that are relatively unpopular in the market. One example of such a company today may be Intel Corporation. As shown in ModernGraham’s most recent valuation of Intel Corp (INTC), the company has shown growth in the past that is not reflected by the market. It seems that the company has dropped out of favor of the market, and in fact I often find comments on Seeking Alpha indicating investor’s beliefs that the company will somehow lose its profits because they have “missed the mobile movement.” Even if that is true, Intel is large enough to rebound from missing one trend in the market and one can expect the company to find new platforms in the future. This chapter was a bit easier of a read in comparison to the last one. (Probably, in part, because it discussed the positive rather than the negative.) As always, Graham focuses on the importance of research before buying stocks. However, he makes sure to clarify on page 156 that unlike stocks, which can be thoroughly researched, the fluctuations in the market cannot be so easily predicted. For me, this is another reminder of why it is important to hold stocks long term as buying and selling in hopes to take advantage of fluctuations is incredibly difficult. I was surprised though at Graham’s recommendation that a bargain common stock can be detected by estimating the future earnings on page 166. Thus far in the book he has spent so much time building up the concept of good research and why value investors should be buying stocks with solid records that it felt out of place for him to recommend that we consider future earnings with a valuation. At first, I thought that he was putting this idea out there to later explain why it wouldn’t work, but he followed up the recommendation on the following page as well. I’m hoping that this is a concept that Graham returns to later in the book as I have a dozen new questions about predicting future conditions as Graham has so well proven that the future is unknown. Last, in Zweig’s commentary he uses the example of 1989 Japan for why investors need to be looking outside of their own country. His argument is solid, which led me to consider why some are unwilling to invest in foreign companies. When looking at the stocks that seem to hold the interest of the media and casual investors, lack of foreign investments might come down to lack of familiarity. Some might feel comfortable purchasing a stock because they already know the company, those unwilling to do additional research might not have any basis on which to make decisions on foreign investments. What do you think of Graham’s suggestions of activities for Enterprising Investors? Have you limited yourself to these activities in your investments? Do you think it is ever possible to time the market or profit from arbitrages? How do you decide which growth companies will continue to perform well? 1. Quote: “To obtain better than average investment results over a long pull requires a policy of selection or operation possessing a twofold merit: (1) It must meet objective or rational tests of underlying soundness; and (2) it must be different from the policy followed by most investors or speculators.” This makes it sound rather hopeless for us defensive non-institutional investor types in light of the fact that 70% of the investors in the 1,000 largest companies are institutional investors. This percentage must have grown significantly sense Dr. Graham wrote the following quote in chapter one, “… an astonishingly large proportion of the trading in common stocks, those engaged therein don’t appear to know – in polite terms – one part of their anatomy from another.” Focusing on out of favor stocks however, may satisfy requirement (2) above regardless of the professional competition. 2. As always, Dr. Graham gives sound advise proven effective by historical records and the investment performance of many of his star students. 3. Yes my focus for buying stocks begins with Dr. Graham’s seven criteria listed in chapter 14. Which by default focuses my investing efforts on large companies that are out of favor with the institutional investors because of what appears to be temporarily depressed earnings, an overall depressed stock market, or the big money is just off chasing something else. 4. It is very possible to earn a profit by timing the market. This technique however, is not very productive when compared to other strategies. Somewhere I read a market statistic that says something like this, 80% of the market gains occurred during less than 20% of the time frame recorded for the stock market. By trying to time the tops and bottoms it is most likely one will miss a significant percentage of the gains over the long run. 5. I don’t get involved in popular high flying growth companies. I figured out long time ago that I am a lousy stock timer just like I am a lousy market timer. I was more than happy to steer well clear of the dot com debacle. However in down markets when some growth companies get slaughtered I have been known to grab a few for the ride back up to normal valuations and sometimes even higher if I like the company i.e. KS and SYK. 6. A very informative chapter that bears reading, underlining, and margin notes. In the forth revised edition, his first recommendation for the enterprising investor (Relatively Unpopular Large Company) seems to become a subset of his second recommendation (Purchase of Bargain Issues). Organizationally confusing at first, but good solid advise none the less. Lets go folks, get those taxes done and get back to reading! 2. What do you think of Graham’s suggestions of activities for Enterprising Investors? I think that Graham’s recommendation here for the enterprising investor sounds reasonable. Of the three different investment approaches Graham suggests I have spent most, if not all, my time in the first two categories, i.e. the relatively unpopular large company and in purchasing bargain issues. Up until this day I have not engaged in any special situations, or as Graham calls them “Workouts”. Maybe that time will come. The main reason is that I have kept myself pretty busy doing the first two categories. So for me personally, this is more a question of time than anything else. – Purchase of bargain issues: Graham’s definition of a bargain issue is that “…an issue is not a true “bargain” unless the indicated value is at least 50% more than the price.” Graham then goes on and talks about how the investor can find these bargain issues. “There are two tests by which a bargain common stock is detected. The first is by the method of appraisal. This relies largely on estimating future earnings and then multiplying these by a factor appropriate to the particular issue. If the resultant value is sufficiently above the market price—and if the investor has confidence in the technique employed—he can tag the stock as a bargain. The second test is the value of the business to a private owner. This value also is often determined chiefly by expected future earnings—in which case the result may be identical with the first. But in the second test more attention is likely to be paid to the realizable value of the assets, with particular emphasis on the net current assets or working capital. 3. Have you limited yourself to these activities in your investments? Guess I already answered this question above. But anyways, up until today I have limited myself to the first two of the investment approaches. 4. Do you think it is ever possible to time the market or profit from arbitrages? I think that it’s possible, but also that the probability of succeeding is rather low, implicating that total returns from such market timing activities should not be expected to be satisfactory in the end. An investor putting his time to such endeavors has stopped being an investor and become a speculator. So being an investor time is best spent in focusing the effort on finding great companies at fair prices for the long run. In doing so enterprising investors get the best odds out there when it comes to succeeding, that is to enjoy a satisfactory return and thus avoiding a permanent loss of capital. 5. How do you decide which growth companies will continue to perform well? When talking about investing the question regarding future growth is the most difficult one, but also one of utmost importance due to the part it plays in the calculation of the underlying intrinsic value of a business. First, an investor will do best in trying to purchase stocks without paying up for the growth component inherent in the future prospects of the business. Second, if an investor pays up for growth this must be done on a conservative basis due to the speculative part always present through the uncertainties in future growth. In his 1992 letter to shareholders Warren Buffett talked about value and growth as follows. “…most analysts feel they must choose between two approaches customarily thought to be in opposition: “value” and “growth.” Indeed, many investment professionals see any mixing of the two terms as a form of intellectual cross-dressing. In addition, we think the very term “value investing” is redundant. What is “investing” if it is not the act of seeking value at least sufficient to justify the amount paid? Consciously paying more for a stock than its calculated value – in the hope that it can soon be sold for a still-higher price – should be labeled speculation (which is neither illegal, immoral nor – in our view – financially fattening). Whether appropriate or not, the term “value investing” is widely used. Typically, it connotes the purchase of stocks having attributes such as a low ratio of price to book value, a low price-earnings ratio, or a high dividend yield. Unfortunately, such characteristics, even if they appear in combination, are far from determinative as to whether an investor is indeed buying something for what it is worth and is therefore truly operating on the principle of obtaining value in his investments. Correspondingly, opposite characteristics – a high ratio of price to book value, a high price-earnings ratio, and a low dividend yield – are in no way inconsistent with a “value” purchase. Similarly, business growth, per se, tells us little about value. It’s true that growth often has a positive impact on value, sometimes one of spectacular proportions. But such an effect is far from certain. For example, investors have regularly poured money into the domestic airline business to finance profitless (or worse) growth. For these investors, it would have been far better if Orville had failed to get off the ground at Kitty Hawk: The more the industry has grown, the worse the disaster for owners. To make decisions about growth I try to follow the fundamentals of the business and the industry that it’s in. Doing this I try to observe any signs and changes in major factors impacting the value of the business. A great one. I especially like Graham’s discussion about the three different investment approaches. This post has also been published at my blog, check it out at http://hurricanecapital.wordpress.com. Now I hesitate to criticize Mr. Buffett and suspect he knows something here I do not, but for the life of me I cannot imagine a scenario where this statement would be true. Lets see, company X has a P/B of 5, P/E of 40, and yields 0.3% but because ??????? it looks like a value to me. What am I missing here? I think Graham’s ideas are sound especially investing in “fallen angels” and secondary companies selling below NCAV. 3.Have you limited yourself to these activities in your investments? I agree with Heather’s comment on foreign companies.They offer excellent value opportunities. I am now focusing on companies located in English speaking countries with accounting transparency and heavy regulation such as Britain, Australia, NZ, Canada, and so on. 4.Do you think it is ever possible to time the market or profit from arbitrages? I think you can understand the overall direction of the market using technical analysis, but timing the exact low or high is almost impossible. Bufffett and Greenblatt seem to still be able to arbitrage. Maybe looking at firms with legal problems is a way to go here. I don’t have a crystal ball so I don’t waste time with growth companies. However, if I find unfashionable, out of favor firms, I will take a hard look . This quote brings into focus that you must view investments seriously. If one does not have the time/effort to spend on investments, then the defensive posture is best with at most 10% in individual stocks. I find it hard to know what to spend my time on, and I can easily get caught in paralysis by analysis. What quote from this chapter do you think best summarizes the point Graham is making? 2)	What do you think of Graham’s suggestions of activities for Enterprising Investors? I am a fan of his the relatively unpopular large company and buying of bargain issues; these two work well together. I have seen many companies during the recession that would have been great. It also reminds me of industries that seem to have cycles like automotive. I can think of only a few companies that are large enough to be safe for me to invest in, and they are all looking ugly with the recalls. 3)	Have you limited yourself to these activities in your investments? I have limited myself to the activities I expressed above. I need to branch out to smaller companies, but I mainly keep to the biggest that have current bad news washing over them, and that leaves them attractively priced. I prefer to bet with senior management that has demonstrated that they are superior. I do a basic SWOT analysis without getting caught spending too much time. I want to see their internal strengths outweigh internal weaknesses, and their external opportunities outweigh external threats. 4)	Do you think it is ever possible to time the market or profit from arbitrages? A key thesis of Graham is that you cannot time the market. You can put yourself in a position to take advantage of Mr. Market if you choose to, but it is impossible to predict the specific bottom or top of anything. At the depths of the recession you had to have some serious guts to put your money in key big companies that were failing. For example, if you bought any bank at the bottom you would have done really great by today, but it looked like the unthinkable was about to happen. In reality, we all knew that many of the largest banks would still be afloat, and they will not be down forever. 5)	How do you decide which growth companies will continue to perform well? I have discussed my basic ideas. I am in no way a superior investor, so I keep mostly to ETF investments. I do also like some holding companies and companies with foreign ties that operate in the US while filing with the SEC (an easy way to invest abroad). 6)	What did you think of the chapter overall? I enjoyed this chapter. It has some great common sense that I need to keep in mind. It makes me want to take on Securities Analysis. Can anyone suggest which addition of Securities Analysis is best? I have read several times that Buffet suggests the first addition. I am sure the updated versions have good input like the updated Intelligent Investor. Mark – thank you for the information.